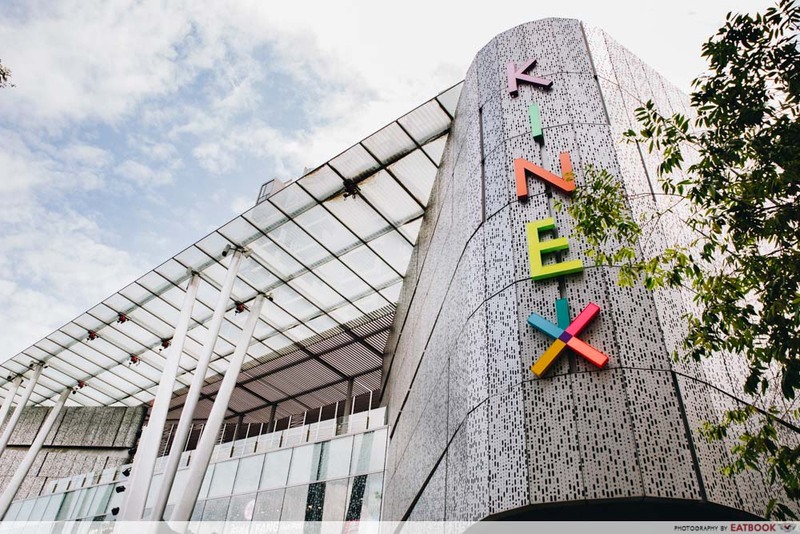 Ever since they’ve rebranded from OneKM Shopping Mall to KINEX, this eastside shopping mall has become a hundred times livelier, with fun features scattered across the mall. 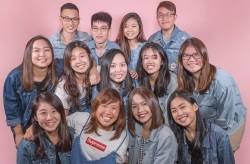 There you will find Instagrammable walls as well as a crossfit area, which comes equipped with tractor tires and battle ropes. You can even get in some cardio, as there’s a colourful 300 meters running track around the mall! But all that is secondary, as the thing that got me most excited was the opening of their new food hall. 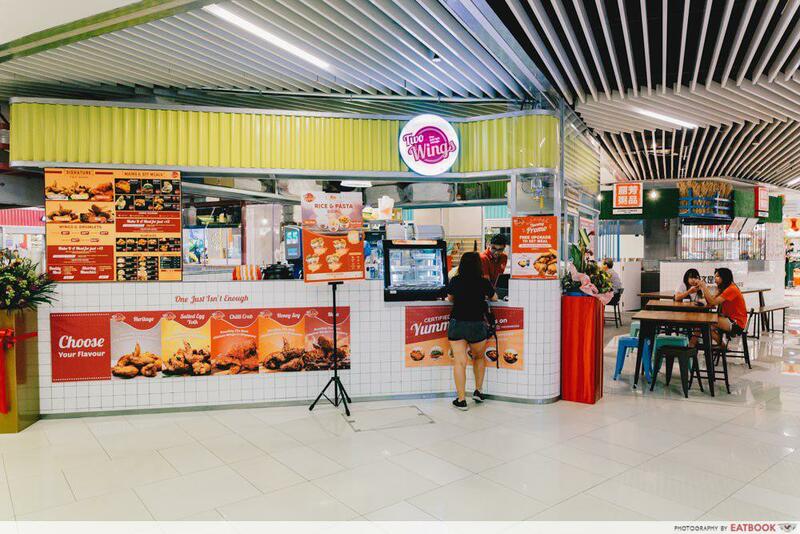 Situated at the basement of the mall, this new food haven features 10 eateries serving up scrummy eats and toothsome drinks. Read on to see six of our picks! 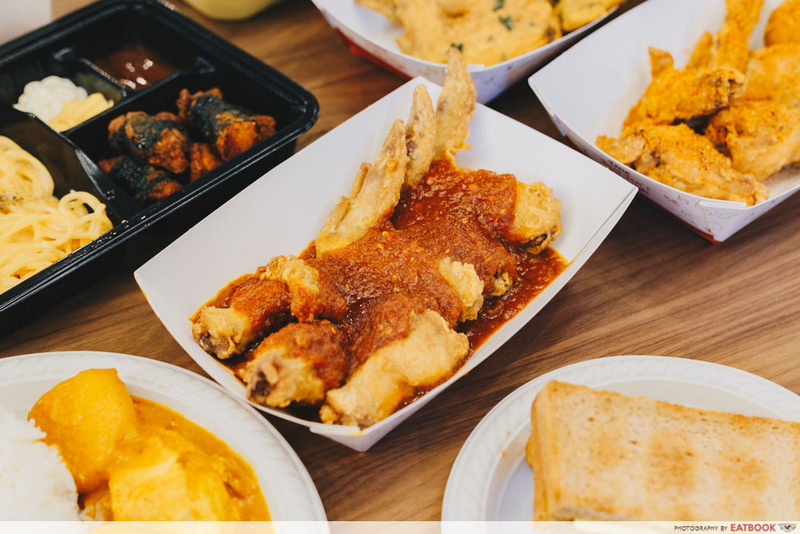 If the sound of fried chicken wings makes your heart flutter, Two Wings will be your best friend. Prices range from $8.80 for six pieces to $130 for 100 pieces, and you get both wings and drumlets. While their original flavour is a hot-seller, we couldn’t resist getting their flavoured ones. Marrying two of my favourite food together, the Chilli Crab won my heart over. It’s finger-lickin’ good, due to its house-made sauce that packed a mild heat and a tinge of crabby flavour. 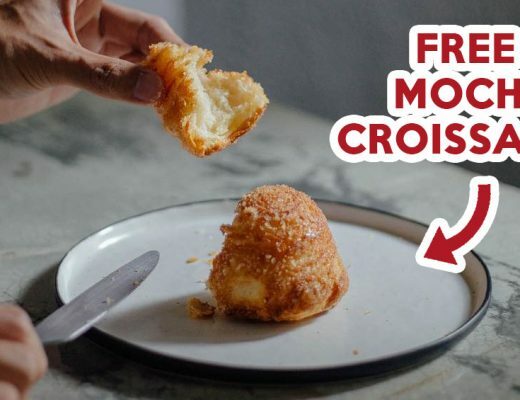 Other flavours include Salted Egg Yolk and Ma La. 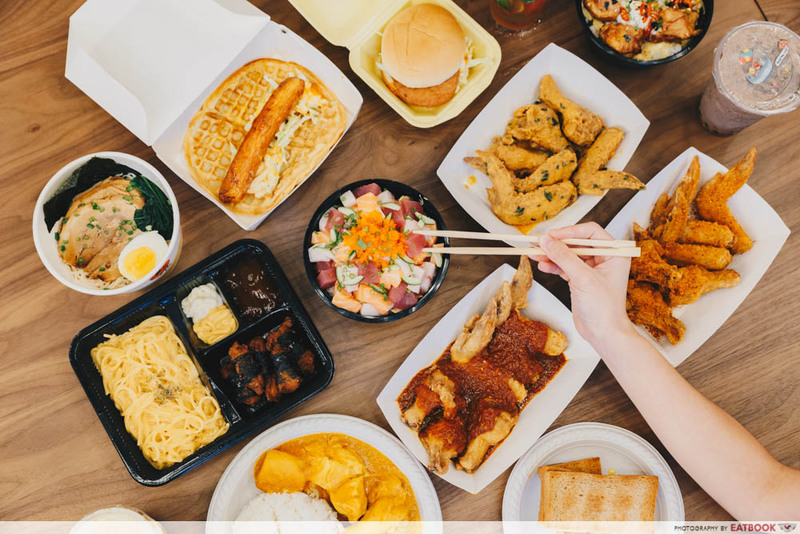 For days when I’m craving Japanese grub, A-Lan Japanese Cuisine & Juice Bar will be my go-to choice. 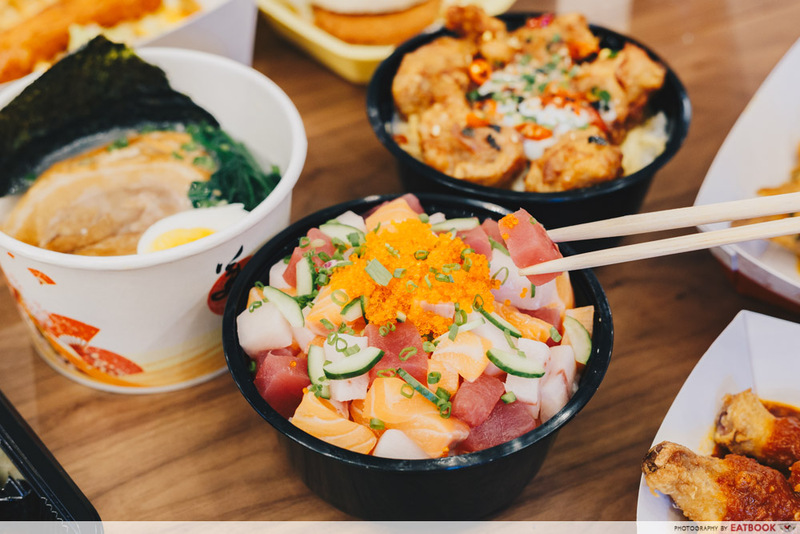 The menu features an array of hearty donburi, ramen and bento sets. Easy on the pockets is their Special Chicken Don. At only $6.90, this hearty dish came with huge chunks of sweet chicken and an onsen egg. 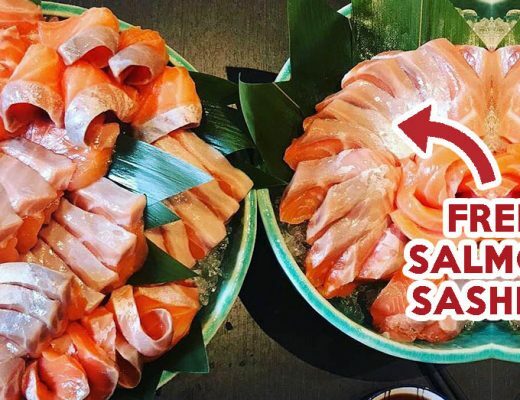 Their Bara-Chirashi Don ($13.90) is also worth spending on, thanks to the mountain of fresh cubed sashimi. The Cha-Shu Ramen ($9.90) also brought comfort to our bellies, with its umami broth and massive chunk of fatty cha shu. 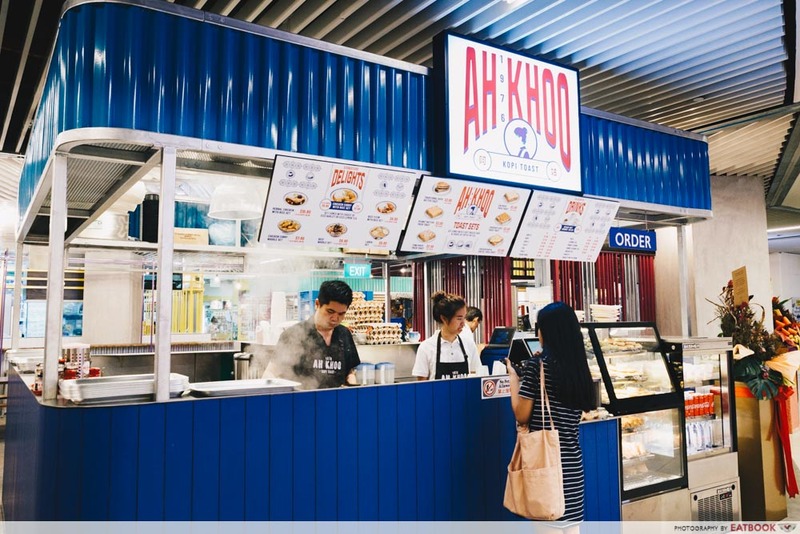 Local cuisine is not forgotten, and you can get your fill at Ah Khoo Kopi Toast. Reminding me of my grandma’s home-cooked grub is their Chicken Curry with Rice ($6.80 for a la carte, $7.80 for a set with drink). The plate came full with curry that was mildly spicy, and tender chunks of chicken and potatoes. They also do really decent toasts and a must-order is their Traditional Kaya Butter Toast ($2 for a la carte, $4.80 for a set). The set comes with runny soft-boiled eggs and a choice of coffee or tea, and makes for a value-for-money meal! 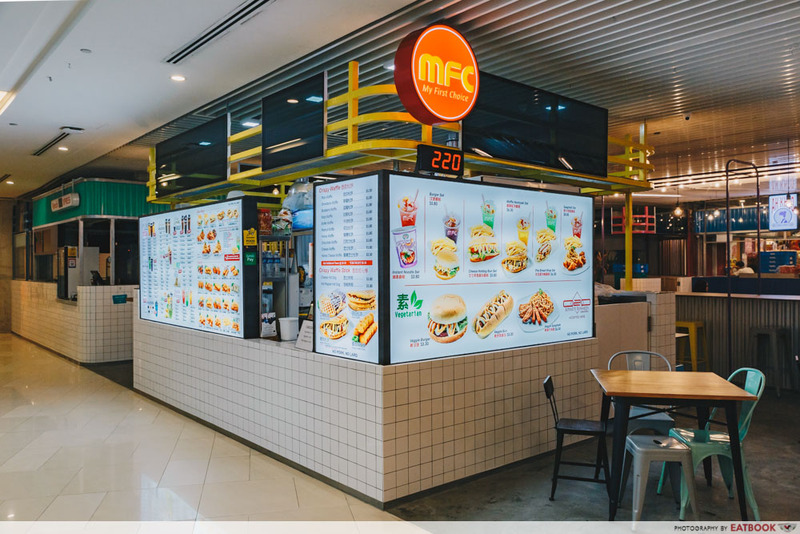 MFC – My First Choice sported a long queue of school students when we were there. 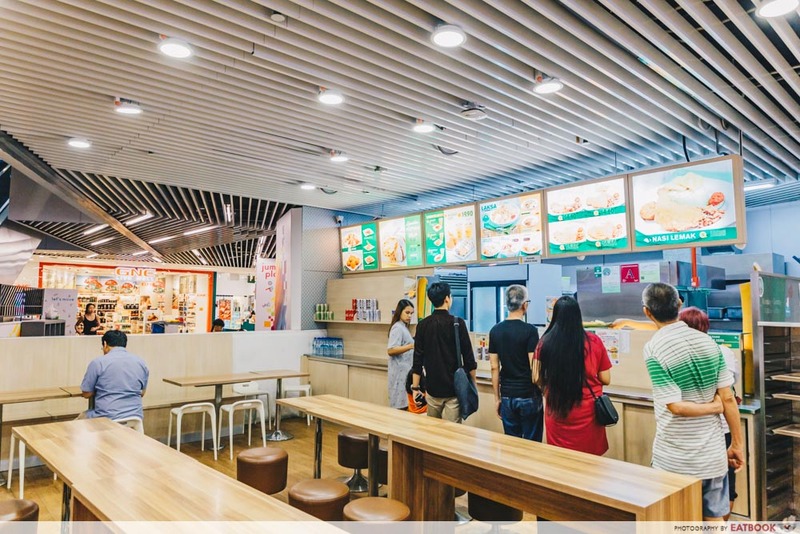 Run by a friendly mom and pop team, the stall pushes out neighbourhood-style bubble tea, juices, fried snacks, and waffles. 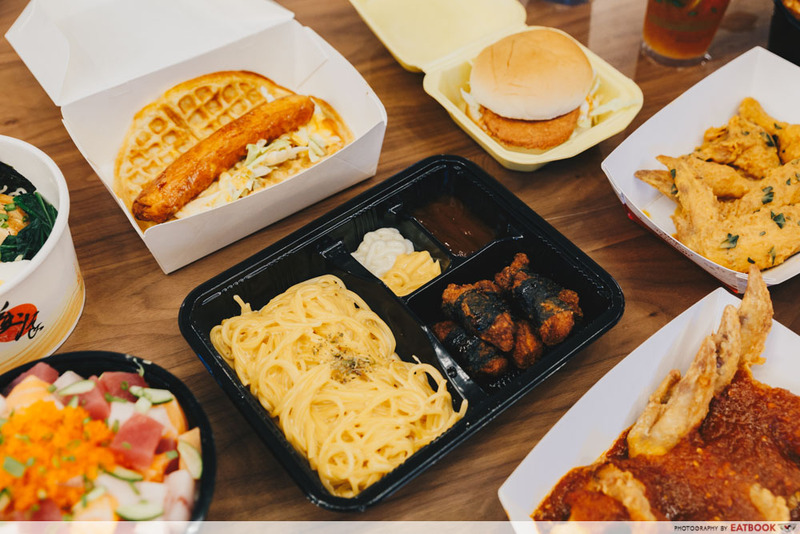 Highly recommended is the Cheese Spaghetti ($5.80), which comes with a choice of snacks such as Seaweed Chicken or Crispy Fried Chicken Mid Wing. As the name suggests, the indulgent pasta was extremely cheesy, and we finished it up within seconds. They also have a few vegetarian options including a simple Veggie Burger ($3.30). No mall is complete without a bubble tea stall. At KINEX, you will find R&B Tea. 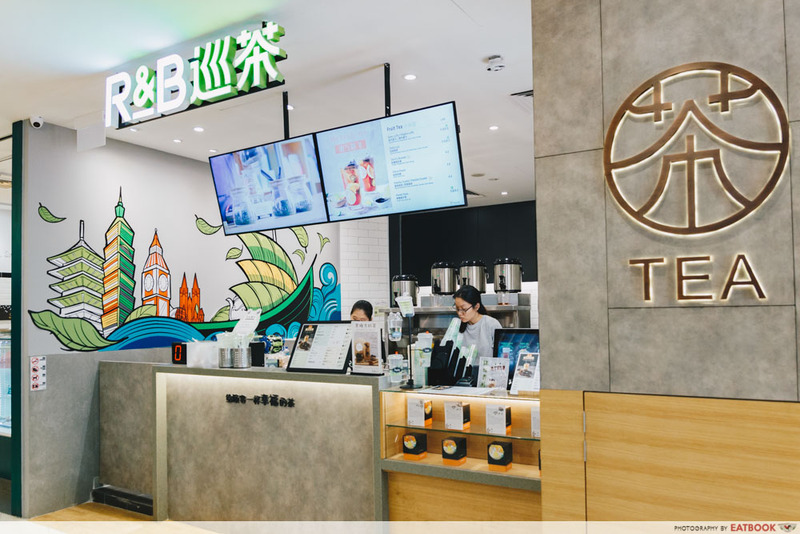 All the teas are made with premium oolong tea leaves from Taiwan’s Dong Ding Mountain, so you can expect only full-bodied brews here. 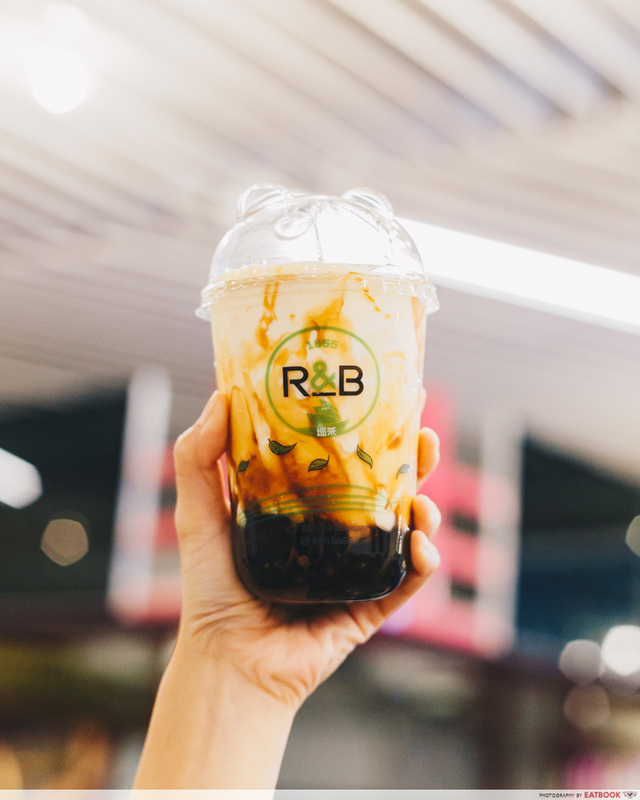 Their Brown Sugar Boba Milk with Cheese Brulee ($4.80) takes the brown sugar milk tea trend up to the next level. Here, the rich and creamy drink is capped with caramelised brown sugar for an extra touch of decadence. 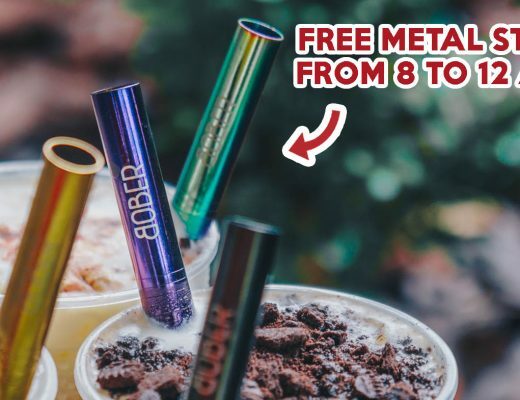 Other drinks to try are their best-selling Roasted Oolong ($3.80 for regular, $4.50 for large) and Baby Luffy ($5.80) boasting fresh fruits within. 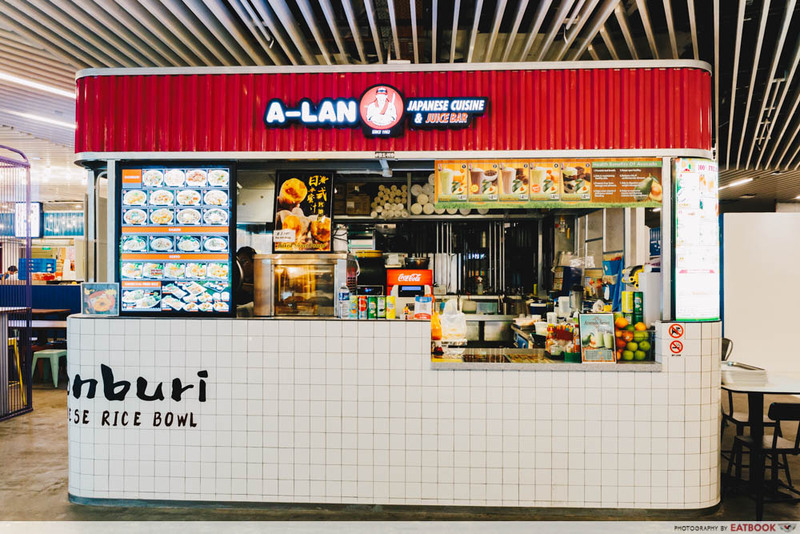 Situated just outside the food hall is QiJi. 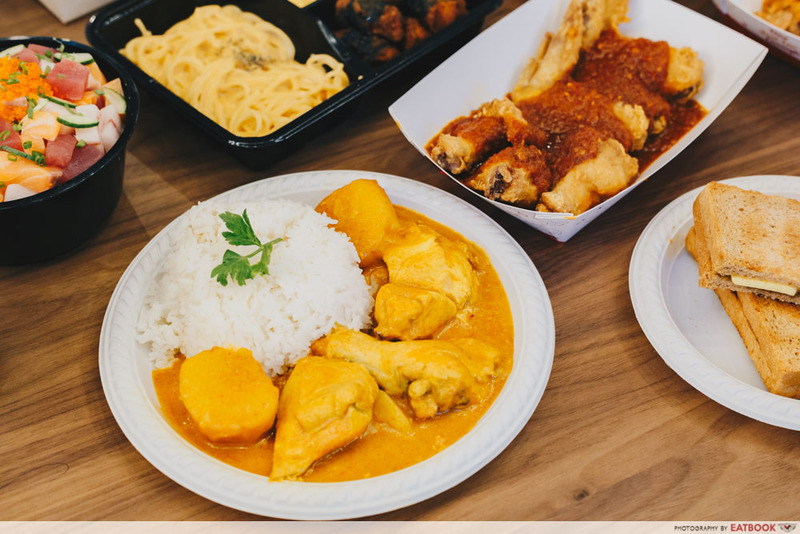 A homegrown eatery, this halal food chain is well-loved among locals for their nasi lemak and popiah. 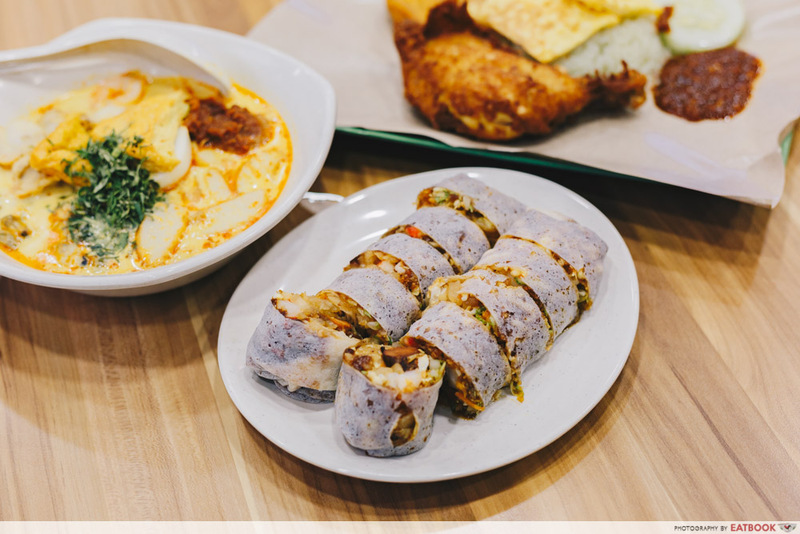 We highly recommend their Premium Signature Popiah ($3.90 per roll), which comes packed with chicken and crab bites. Feel completely satisfied when you savour their Laksa Deluxe ($7.20) featuring scallops, clams and prawns, swimming in a fragrant coconutty broth. 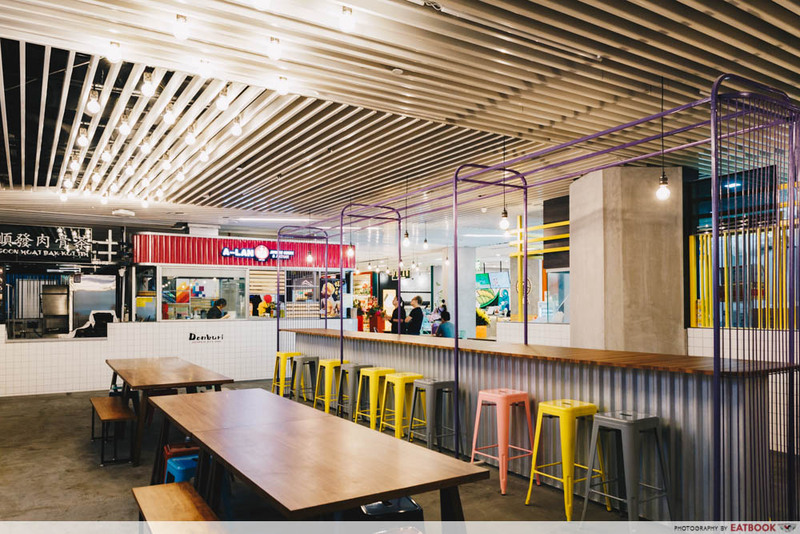 Make your way down to Kinex and uncover a treasure trove of great eats at their new food hall. 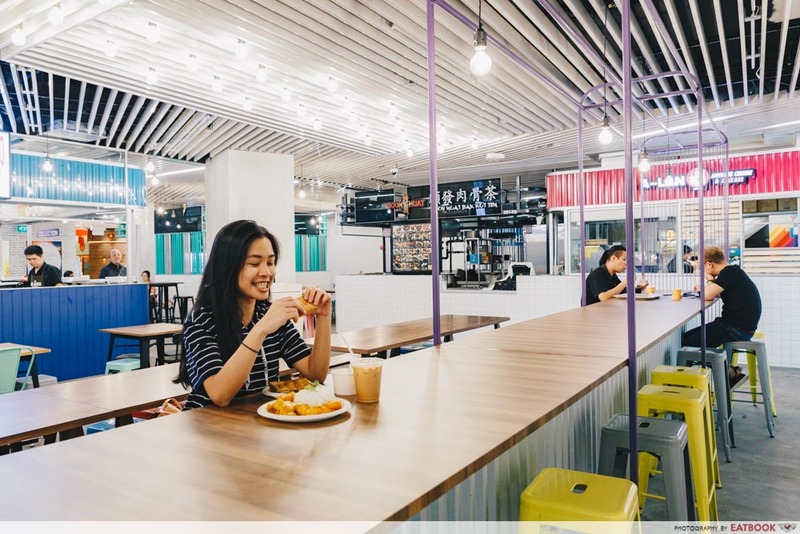 There’s also ample seating, so you don’t have to takeaway or dine standing up – a problem I tend to face at the food hall of other malls. Plus, the entire space is hip to a tee, with coloured metal stools and timber tables juxtaposed against concrete walls. Do note that not all the stalls are open yet, and this include Li Fang Congee, Xi An Mian Zhuang, Soon Huat Bak Kut Teh and Kimchi Xpress. However, this shouldn’t be an issue, as the six mention already provide really great eats!